Some wonderful photos from the latest AWiLL event with Marni Panas. What a great night for learning about LGBTQ2+ inclusion. Paint night!!! It’s all about the path forward. Are You Afraid of Public Speaking??? On behalf of the Board and Members of AWiLL we would like to thank Lorraine Wheatley, District Director of Toastmasters International for sharing her story and journey as a Distinguished Toastmaster at our March Member Connect. Lorraine brought us out of our comfort zone by challenging us to a "think on your feet" exercise to highlight our public speaking strengths and learn the areas we can work on. We welcomed new guests to our AWiLL circle and look forward to seeing your smiling faces in the future. A big round of applause for those in attendance who jumped right in to their public speaking role and also for those who were supportive and encouraging. For more information on Toastmasters International, connect with Lorraine Wheatley on LinkedIn, or follow her on Twitter @LNWheatley. As always, we are grateful for The Nook Cafe who hosted our event with delicious desserts and refreshments. See you out at our May Member Connect for an evening with Allison Poste. 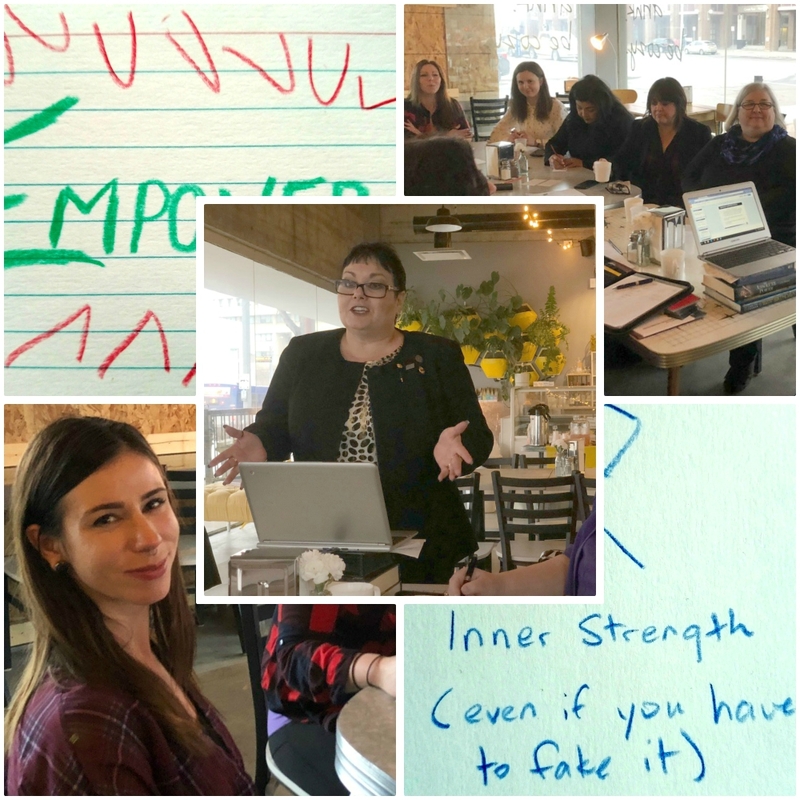 What an amazing night...here are a few of the comments and take-aways from our recent Member Connect - Painting Your World with Penny Moon Walker! Many of our members and their guests gathered for an evening to focus on their dreams and aspirations by creating a vision board. It was a great opportunity to focus on intentions and clarify one’s life focus. As always, comradery and mentorship were had, along with the great food and cozy atmosphere at The Nook Café. 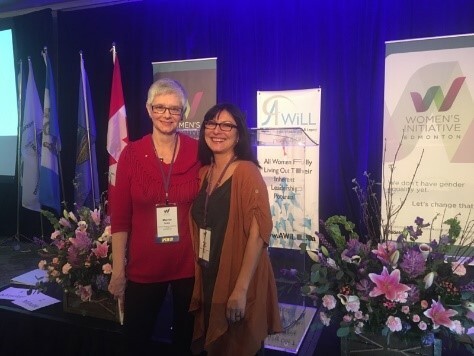 Marnie Suitor and Kyra Brown were fortunate to speak on behalf of AWiLL at the WAVE Symposium this past Saturday (February 10, 2018). The event was well attended with over 300 in attendance. The presentation, titled Your Leadership – Your Legacy centred on a number of core leadership values, and the correlation between how you lead and the legacy you create in doing so. Our December community outreach event was hugely successful, thanks to the help and support of many of our members, friends, sponsors, and the community at large. 275 purses were donated, and, with the financial support and contributions of our sponsors ($1,600 in funding raised) the purses were jammed packed with daily essentials. We were also very fortunate to have some musical entertainment provided by friends of member Debbie Houle. It was a wonderful afternoon of community spirit, fun and camaraderie. Each purse was tagged with this special note and distributed to a number of local agencies that support vulnerable women (Scared Heart Church, Mustard Seed, Boyle Street, Salvation Army) as well as being directly handed out to women on the street. We had an excellent turnout for October's Member Connect. True Colours Personality workshop was facilitated by one of our members Kyra Brown. Thank you to those who came and participated with each other to learn more on your stronger personality traits. We all had a chance to share what we have in common and what we might think about in our own communication styles and in communicating with others. Self awareness provides great opportunities to build our strengths and see where we might want to grow. We had some good laughter (as always) with great food and beverages catered by our delicious local NOOK Cafe. Thanks again to all who participated and we look forward to connecting at the next AWiLL event!!! To kick off this year's calendar of events, several of our members took part in Daughters Day on September 9th. AWiLL was a proud sponsor of this event in a mission to eliminate gender inequality, violence, and discrimination against girls and women at home, at school, in the workplace, and on the street. AWiLL will be looking at nominating someone within our membership for next year. Several of our members took part in the BECA Symposium put on by the Canadian For a Civil Society. Once again this event was truly an eye-opening and inspirational experience for all who attended. So very fortunate to "break bread" with the Honorable Kim Campbell at today's Women in Communication luncheon! Glad to have been part of such an incredible event and to meet so many uplifting and inspiring women! Several of our members, along with their guests, spent an evening listening to Deborah Kinisky share her uplifting and emotional story of overcoming the challenges of years of abuse and trauma. Deborah is the Founder and Executive Director of Blue Sky Thrivalist Multi-Media Services, she is also a published author and inspirational speaker, international photographer and culinary enthusiast. Deborah also shared with us that her happy place is in her kitchen with “flour on her nose”. She is soon to be headed down to Calgary to share her culinary delights for an opportunity to appear on an upcoming cooking show. Several of our members had the opportunity to spend time with Mary Cardinal Collins, a semi-retired teacher, fluent Cree speaker and translator of Nehiyaw and Skwew. Mary has worked in the field of indigenous languages and indigenous education for the past 30 plus years.